Florida is heaven on Earth for long-time residents, snowbirds, and vacationers, but Miami residents know that living in a sunny paradise requires special care. The following summer lawn care tips can help to keep your back and front yards green and lush in the city’s hot, humid climate. Whether you want to spruce up the outside of your home for the heck of it or you’re looking to boost your curb appeal, read on to discover how to nurture your lawn so that it blooms to its best advantage. It’s tempting to lower your mower blades to cut the grass as short as possible. After all, you reason, it’s sort of like your hair—the shorter you cut it now, the longer you can go between trims. Grass doesn’t work like that, especially when it comes to lawn care in Miami. Chopping the grass is more likely to leave it brown and dead. For the warm season, not only should you sharpen the blades, but you should also position them at 2 ½ inches to 3 inches. Leaving the grass slightly taller won’t interfere with the groomed appearance of your lawn, but the blades remain long enough to bathe in the sunlight, which creates nutrient-rich roots and soil. Ultimately, it’s up to you but bear in mind that you should try not to cut more than one-third of the surface of the grass. 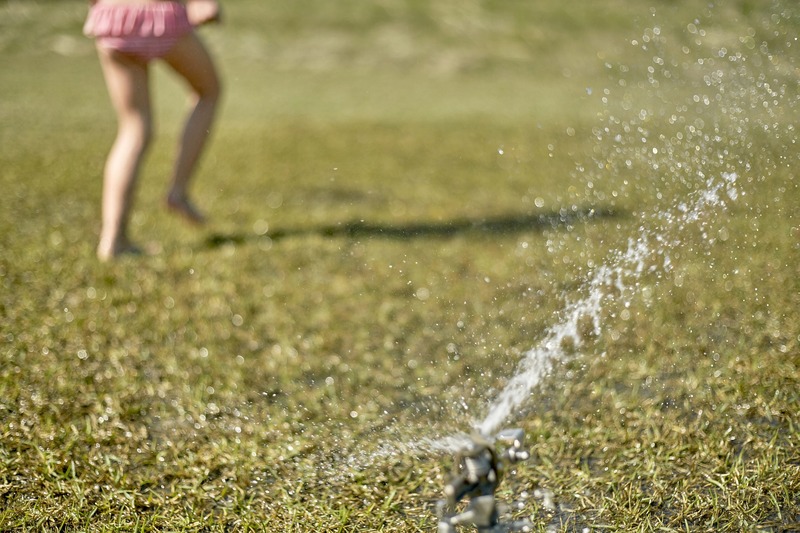 Watering the lawn is a necessity in South Florida, but the region is also humid, and Miami gets a decent amount of rainfall, particularly in the summer. That eases a bit of the burden of hydrating your lawn, but it depends on the weather. A week of scorching weather can torch the yard if you aren’t careful, which is why many summer lawn care tips tailored to the area focus on hydration and irrigation techniques. As tempting as it is, don’t water the grass or plants during the sun’s peak hours, which occur between 10:00 AM and 4:00 PM. Watering during that period evaporates everything, so it doesn’t do any good. Quench the thirst of your flowers and sod early in the morning or later in the afternoon. In any hot climate, you sometimes have to deal with water shortages. That doesn’t mean you have to sacrifice your lawn or your landscaping, however. Just be smart about the way you set up your yard. You can make the most of the layout of your bushes, flowers, and plants by taking advantage of the rain. Gutter extenders are relatively inexpensive, but when you add them to your existing gutters, you can aim them so that the rainwater spills down through your garden or shrubbery. Your flowers, fruits, plants, and vegetables may need fertilizer throughout the summer. This summer lawn care tip doesn’t apply to flower beds and decorative landscaping. Don’t fertilize your lawn during the summer months, though. It’s doesn’t take much to over-fertilize the grass during such a lush, ripe season. That leads to scalding, which kills the lawn. Do it in the spring, instead, and again at the tail end of autumn. Remember to weed the lawn and landscaping regularly, as well. Weeds steal nutrients that ought to go to your grass and plants. What are your favorite summer lawn care tips to battle the Miami sunshine? The post Summer Lawn Care Tips for Miami, FL Homeowners appeared first on Lawnstarter.